PIVOT – Java, SQL and jOOQ. This answer to a beautiful Stack Overflow question I’ve given recently needs further explanation in a blog post. When working with Microsoft Excel, we can create beautiful and also very insightful Pivot Tables with grand totals. What are they? This is best explained visually. This simply produces an in-memory table representation of our original, normalised data set. The result would be similar in Oracle and other databases. This isn’t surprising. We can aggregate all the grand totals in one go with CUBE() (in fact, the “grand grand total” is calculated separately in this case), whereas it’s hard for the optimiser to prove that the UNION ALL version is really the same thing and the individual subqueries can be factored out. The data still looks normalised with repeating names and colours in the result tables. Let’s pivot it using … wait for it … the PIVOT clause (available in Oracle and SQL Server). There should be no performance penalty in the manually written version (although, as always, do check). More details about this in a previous article. And then, unsurprisingly, combinations of these predicates were needed as well, i.e. In the end, there were 32 queries in total (or 8 in my example) with all the possible combinations of predicates. Needless to say that running them all took quite a while, because the table had around 200M records and only one predicate could profit from an index. This solution allows for calculating all results in a single query by using 8 different, explicit, filtered aggregate functions and no GROUP BY clause (none in this example. More complex cases where GROUP BY persists are sill imaginable). How to read the above query? These queries will count those films whose length is BETWEEN 120 AND 150 (because those rows produce the value 1, which is non-NULL, and thus counted), whereas all the other films are not being counted. This counts those rows whose length BETWEEN 120 AND 150 and whose language_id = 1, because if either predicate was FALSE, the number would be NULL and thus the sum is NULL as well. Usually, the FILTER clause is more convenient, but both approaches are equivalent, and we’re running only a single query! I also call this “manual PIVOT“, because it really works like a PIVOT table. And the good news is… There is a PIVOT syntax! As in the previous example, we’re translating the desired predicates for our report into three columns that produce values 1 and 0. That’s understood so I won’t repeat the explanation. The resulting table expression groups the PIVOT‘s input table by all the remaining columns (i.e. all the columns that are not part of the FOR clause, in our example, that’s no columns), and aggregates all the aggregate functions (in our case, only one) for all the values in the IN list. As you can see, the column names are generated from the IN list of expected values and the values contained in these columns are aggregations for the different predicates. These aggregations are not exactly the ones we wanted. For instance, column G is all the films whose length BETWEEN 120 AND 150 and whose language_id = 1 and whose RATING != 'PG'. The result is now the same. Clearly, the GROUPING SETS variant is more concise. Let’s imagine, we’d like to add more combinations of grouping columns, e.g. This time, we’ll encode FALSE as 0, not NULL, because NULL already has a different meaning in GROUPING SETS. It means that for a given GROUPING SET, we didn’t group by that column. We’ll see that in step 3. In this section, we’re just listing all the possible combinations of GROUP BY columns that we want to use, which produces 8 distinct GROUPING SETS. I’ve already explained this in the previous introduction to GROUPING SETS, so this is no different. So, using COALESCE, we’re making sure that we include only 1 and NULL lengths, not 0 lengths. Excellent! And hey, there’s even syntax sugar for “special” GROUPING SETS configurations like ours, where we list all the possible column permutations. In this case, we can use CUBE()! Such a comparison blog post wouldn’t be complete if we wouldn’t benchmark for performance. This time, I’ll be benchmarking only for Oracle, as PostgreSQL doesn’t support PIVOT and SQL Server’s PIVOT is more limited than Oracle’s. Very disappointingly, the PIVOT solution is the slowest every time. I’m assuming there’s some substantial temporary object overhead which wouldn’t be as severe if the table were much larger, but clearly, the manual PIVOT solution (COUNT(CASE ...)) and the GROUPING SETS solution heavily outperform the initial attempt, where we calculate 8 counts individually. To get back to the original report where 32 counts were calculated: The report was roughly 20x as fast with manual PIVOT on 200M rows and imagine if you need to JOIN – you definitely want to avoid those 32 individual queries and calculate everything in one go. If you add an index to each individual column being filtered, chances are at least to optimise individual subqueries, but for these kinds of reports, the occasional full table scan is perfectly fine, especially if you aggregate a lot of data. How to improve the query, then? Few people are aware of the fact that aggregate functions only aggregate non-NULL values. This has no effect, when you write COUNT(*), but when you pass an expression to the COUNT(expr) function, this becomes much more interesting! The SQL standard and the awesome PostgreSQL database offer an even more convenient syntax for the above functionality. The little known FILTER() clause on aggregate functions. This is useful when you want to cleanly separate the FILTER() criteria from any other expression that you want to use for aggregating. E.g. when calculating a SUM(). In any case, the query now has to hit the table only once. The aggregation can then be performed entirely in memory. This is always better than the previous approach, unless you have an index for every aggregation! 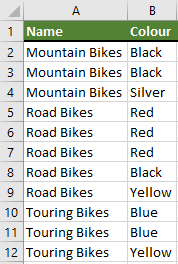 OK. Now how to get the results in rows? The question on Stack Overflow wanted a result with TESTn values being put in individual rows, not columns. Notice how I used the term “transpose”. That’s what we did, and it has a name: (un)pivoting. Not only does it have a name, but this feature is also supported out of the box in Oracle and SQL Server via the PIVOT and UNPIVOT keywords that can be placed after table references. The execution plan is still optimal. All the action is happening in memory. Every once in a while, we run into these rare SQL issues where we’d like to do something that seems out of the ordinary. One of these things is pivoting rows to columns. The idea is that we only want one row per distinct dnId, and then we’d like to transform the property-name-value pairs into columns, one column per property name. The above transformation is actually quite easy with Oracle and SQL Server, which both support the PIVOT keyword on table expressions. jOOQ also supports the SQL PIVOT clause through its API. What if I don’t have PIVOT? In simple PIVOT scenarios, users of other databases than Oracle or SQL Server can write an equivalent query that uses GROUP BY and MAX(CASE ...) expressions as documented in this answer here.